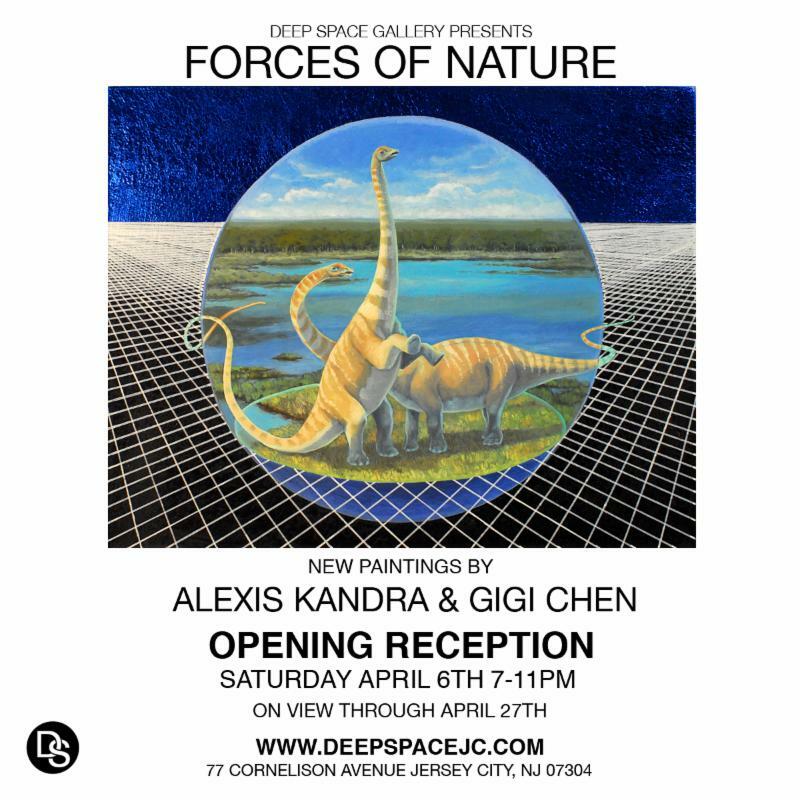 Please join us this Saturday night, April 6th, from 7-11pm for the Opening Reception of FORCES OF NATURE, featuring new works by pop surrealist painters Gigi Chen and Alexis Kandra. Alexis and Gigi tap wildlife and nature as the wellspring of their creative output and visionary imagery, each with a signature style, technical expertise and a touch of magic! In a month devoted to celebrating our planet, Alexis and Gigi’s paintings inspire deep appreciation of our earthly habitat. Born in Guang Dong, China and raised in New York, Gigi first exhibited her work in New York at Deitch Projects as part of the ARTSTAR reality-based television program. Gigi’s exhibition credits also include the Queens Museum of Art, Superfine! Art Fair and Deep Space Gallery. Alexis Kandra lives and works in New York City. Born in Pittsburgh PA in 1991, Alexis grew up with a passion for art-making and the natural world. As a child, she took art classes at the Carnegie Museum of Art and Natural History, which fostered her love of dioramas, biodiversity, and searching for our place in the universe. She received her BFA in painting at Tyler School of Art in Philadelphia. After graduating and moving to New York City, Alexis began making paintings that combine surreal animal arrangements with abstract geometric spaces.